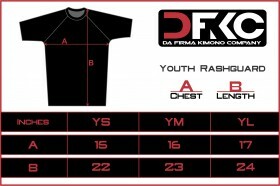 Home » Blog » The Astropa GIG Meerkatsu Rash Guard is back for a limited time!! PRESALE ONLY! *additional charges apply for international orders. PRESALE ENDED MAY 1ST 2015. ORDERS SHIP MID JUNE OR SOONER! Hi! I’m interested in preordering the rash guard, but I’m not sure what size I would need. My bra size is 34DDD. I wear a women’s large in the Gameness brand, and a women’s medium in Fuji. What size would you recommend for me? Please let me know as soon as possible. Thank you! Thank you for contacting us. Click the link below and scroll to the bottom. You will find a size chart there. These rash guards run small so we would probably recommend an XL or XXL for comfort. If you have any other questions, let us know. Thanks again and let us know if we can be of any further assistance. If I order the rash guard and it’s too small and doesn’t work out, would I be able to return it for a refund? WE can do an exchange. If the other sizes in stock don’t work then we can do a refund. Let us know once you get it. Thanks. Hi the thirty that they sell for this coming seminar …Do you have a picture of it…or is like a plain cotton shirts with text or logo on them? Will you get anymore of these? Yes. 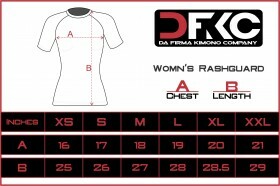 We will be doing another round of presale for the rash guard and have a new product in the next week or so. Check back with us! 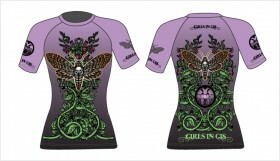 ← Girls in Gis Colorado Lakewood April 26th!